For many kids in the '90s, the most memorable lessons about science and the natural world weren’t in our actual class rooms but from TV. Programs like Bill Nye the Science Guy, Reading Rainbow, Wishbone and Beakman’s World, all managed to be so fun and engaging that you forgot that you were learning. But that list wouldn’t be complete without PBS’s The Magic School Bus. The wacky, indomitable, nurturing Ms. Frizzle would use her magical school bus to take her students on all kinds of fantastic field trips that no other class room in the world could go on. The series and the characters have remained so memorable that Scholastic has been trying to get a reboot off the ground for years. With the recent casting of Kate McKinnon, it seems we may be up for more exciting, educational field trips before long. So, as a prep course, her are 15 Things You Never Knew About The Magic School Bus! Joanna Cole was born in August 1944 in Newark New Jersey. She’s written more than 90 childrens’ fiction and nonfiction books in her career. In addition, she was an enthusiastic student of science, and became an elementary school teacher and librarian. She has said that The Magic School Bus series has consistently been her favorite books to write because they let her combine her two favorite subjects: science and humor. Bruce Degen grew up in Brooklyn and took to the visual arts very early. He’s worked as the illustrator for several series of children’s books including Jamberry, Sailaway Home, the Jesse Bear Books and the Commander Toad series. Cole and Degen published the first Magic School Bus book through Scholastic in 1986. It was called The Magic School Bus at the Waterwooks and introduced most of the main students and featured the class’s first field trip with Ms. Frizzle. Craig Walker, the Vice President and Senior Editorial Director of Scholastic during the '80s, has discussed the genesis of the Magic School Bus franchise. According to him, there was a great demand for picture books and a growing number of requests from teachers for science books that would be fun for kids to read. Walker told Publishers Weekly in 2006, “I remembered as a child loving to go on field trips. So I thought about doing books about kids going on field trips to places they really couldn't: through a water system, to the bottom of the ocean, inside the earth. And I remembered an eccentric second-grade teacher in my school who everyone thought was the best. She brought everything imaginable into her classroom…So that is where Ms. Frizzle came from." Walker was familiar with both Cole and Degen’s work, and so approached them to collaborate on what would become the Magic School Bus. If you’re going to write and draw science books for elementary students to use in the class room, why not base your student characters off of real students? In an interview with Reading Rockets, Bruce Degen discussed part of the process of creating the students characters. He would take pictures from his son’s elementary school days and copy some of the more distinctive clothes. Cole came up with the names for the characters and Degen would visually flesh them out. Arnold, Mr. “I knew I should have stayed home today”, was specifically based on his son’s best friend in elementary school, who was also named Arnold. Degen apparently didn’t tell the real world Arnold that he was the inspiration for the fictional counterpart until much later. The white and yellow striped polo shirt was enough to make an impression on Degen and make it into Arnold’s signature attire throughout the books and the show. When she officially got the assignment from Scholastic to write the Magic School Bus series, Joanna Cole wasn’t quite sure she would be able to pull it off. The books were supposed to be a mix of so many different forms of engagement ranging from science to humor to class dynamics. So Cole ended up procrastinating a lot by doing other things like cleaning around the house, which she seldom did apparently. In her own interview with Reading Rockets she said, “I just said to myself, ‘You have to write today. You have to sit down.’ And so I wrote. I sat down at the computer, and I wrote. I knew I had a teacher, and I knew I had a class, and I knew they were going to take these school trips that were going to be wacky.” According to Cole she simply decided that Ms. Frizzle would have eccentric dresses and shoes and her enthusiasm for her class material would sweep her students away and Cole took it form there. Lily Tomlin began her career as a standup comedian performing Off-Broadway during the 1960s. She started becoming a household name when she was cast as a regular Rowan and Martin’s Laugh-In variety show from 1969 until 1973. Her 1972 comedy album This is a Recording was awarded a Grammy. She’s been known for her funny if not witty roles throughout her career including in Nashville, 9 to 5, I Heart Huckabees, Tea with Mussolini, and The West Wing. Tomlin played the voice of Ms. Frizzle from 1994 to 2002, giving her the vivacious energy to her lines that we all remember. Tomlin’s natural voice is a bit more subdued in pitch. The difference was so noticeable that even her family’s children would apparently look between the TV and Tomlin when watching the show. Some of the young voice actors who played the students in Ms. Frizzle’s class went on to perform other well-known roles in movies, TV and video games. Danny Tamberelli played Arnold Perlstein. Even before he lent his voice to The Magic School Bus, Tamberelli had performed live action roles in The Mighty Ducks, The Adventures of Pete and Pete and The Babysitter’s Club. Later in his career he played the voice of Michael Townley in Grand Theft Auto V, a much less innocent part. Erica Luttrell was the voice of Keesha Franklin from 1994 to 1997. Since then she has appeared in many different TV shows and video games. She had recurring parts in Dave the Barbarian, As Told by a Ginger and Lost Girl and had a guest appearance on Buffy the Vampire Slayer. Her video game voice work has included World of Warcraft, Diablo III, Lightning Returns: Final Fantasy XIII, and Empress Emily Kaldwin in Dishonored 2. The show’s theme music was composed by Peter Lurye. Lurye has arranged music for several kid-friendly movies and TV shows including The Emperor’s New Grove 2 and Dora the Explorer. “Ride on the Magic School Bus” was sung by rock and roll legend Little Richard. He began his career in the fifties with hits like “Tutti Frutti” and influenced many popular genres of music from rock to hip hop to soul to funk. In the books, Ms. Frizzle’s class consisted of as many as 20 students. The show condensed the number of regular students to 8 to keep each of the characters as distinct and memorable as possible. Even though 20 would have been closer to an average American elementary school class size. The producers of the show didn’t just pick and choose straight adaptations of characters from the books to populate Ms. Frizzle’s class on screen. Most of the students in the books were lacking in any distinct personality, functioning mostly as expository characters for whatever the subject was in any given book. The two major exceptions in the books were Arnold and Phoebe. They were among the few book characters to be selected and developed into more well-rounded characters for the show including Arnold, Phoebe, Wanda, Tim, Dorothy-Ann and Ralphie. Carlos and Keesha were the only two students adapted to the show that didn’t appear in the first two books. The Magic School Bus had its own noticeable list of celebrity guest starts who lent their voices to one time or recurring characters. Mr. Ruhle, the principal of Walkerville Elementary School in the show, was voiced by Paul Winfield. Winfield appeared in plenty of your favorite action and sci-fi movies in the 80s and 90s. 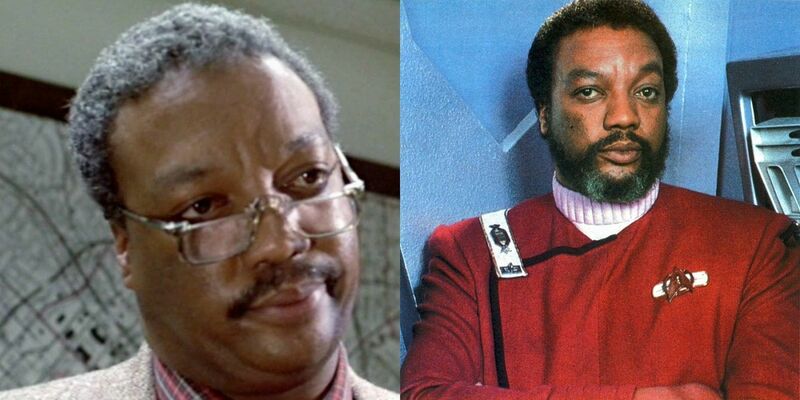 He played Captain Terrell in Star Trek II: Wrath of Khan and Lieutenant Ed Traxler in The Terminator. Rosalind Chao played Wanda Li’s mother on the show. Chao also played Keiko Ishikawa on Star Trek: The next Generation and the afterlife version of Robin Williams’ daughter in What Dreams May Come. Carrol Channing also appeared on the show as Professor Cornelia C. Contralto II. She was the curator and owner of the Walkerville Sound Museum and was intensely interested in helping Carlos find the perfect sound for his invented instrument. Channing’s casting was especially appropriate given her famously distinctive voice and musical career. The titular magic school bus is capable of some truly bizarre and impressive transformations. At least once during each episode. Not only can the bus transform itself into hybridized versions of various animals and inanimate objects, it can shrink and grow into any size it likes. It can also shrink the size of any passengers on board into corresponding sizes. This happens on several different episodes when the class explores various parts of the human body including when the class uses the bus to explore Ralphie’s body when he’s sick. Among the various animals the bus has transformed into, some of the most visually interesting ones were a bat, a frog, a bear, a spider, a butterfly, an alligator and a hen. The bus even lays an egg that hatches in that particular episode. The bus can also transform itself into other kinds of vehicles, including multiple kinds of boats, cars air planes and space ships. In the episode “Out of this World,” The magic school bus, and the human characters, transform into a takeoff on the Star Trek’s Starship Enterprise. The Magic School Bus was one of the highest rated PBS shows for school age children and one of the most widely syndicated PBS shows ever after its initial run. It was also the first fully animated show ever aired on PBS. The show first ran on PBS during the PBS Kids block from 1994 to 1997 and played on reruns through 1998. Fox Kids also aired reruns of PBS’s education programs, including The Magic School Bus, from September 1998 until September 2002. The Magic School Bus also aired on TLC from February 2003 until 2008 and on the Ready Set Learn block on Discovery Kids from 2004 to 2009. The series also aired on various Canadian TV networks including TVOntario, the Knowledge Network, and the UK networks of Channel 4 and CITV. The Magic School Bus became widely known in Canada through reruns on Kids CBC from 1999 to 2004. 4 THE PRODUCER SAYS SEGMENTS WERE CUT TO MAKE TIME FOR COMMERCIALS. One segment of the series was called the Producer Says. Usually at the end of each episode, the “producers” would come on and take calls from various “viewers”. The viewers would each have a question or criticism of the show’s subject, usually pointing out some scientific inaccuracy or questioning the presentation of some element where the show used its artistic license. The producers that appeared in these segments were voiced by Malcolm-Jamal Warner and Susan Blu, the latter of whom was the show’s voice director. One example of the corrections was in the Sound Waves episode. The producer explained that it’s impossible to “see sound” and that the goggles the characters wore in the episode was just for the show’s imagination. The episodes included these segments when the show aired on commercial free networks like its original PBS home, and when the series was released on VHS and DVD. In syndication, the Producer Says segments were cut to help make time for commercials. 3 SOME OF THE STUDENTS MAY HAVE GROWN UP INTO THE PLANETEERS. The Magic School Bus was evidently just the right combination of fun and educational to garner fans even today and nostalgia is a huge motivator for fans. This has inspired many fan theories surrounding the show and its characters. One of the most popular, and memetic, theories revolves around Arnold, Wanda, Tim, Carlos and Dorothy-Ann. All of the students in Ms. Frizzle’s class were exposed to various scientific fields and developed some care about nature. But apparently, Arnold, Wanda, Tim, Carlos and Dorothy-Ann took their environmentally conscious lessons to the next level and became Captain Planet’s Planeteers. The student’s hair colors and ethnicities match up one to one with the five teenagers in Captain Planet and the Planeteers. Evidently they all changed their names to Wheeler, Gi, Kwame, Ma-Ti and Linka at some point. 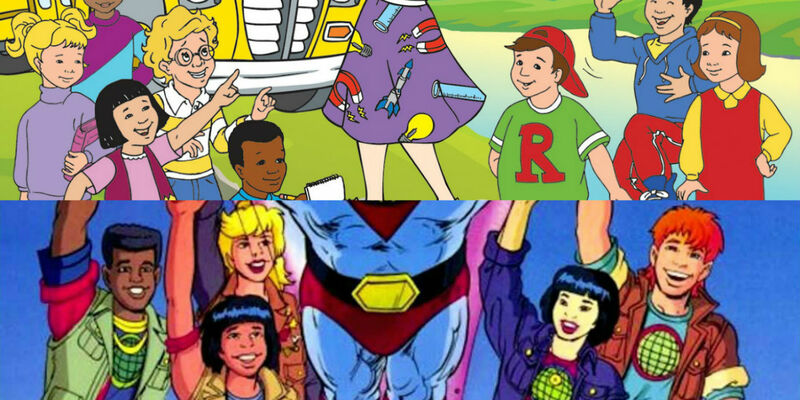 Or some fans favor the explanation that the Planeteers are all the older siblings of Ms. Frizzle’s students. 2 MANY FANS BELIEVE MS. FRIZZLE IS A TIME LORD. Ms. Frizzle herself has been the subject of extensive debate among fans. Surely there must be some explanation for her eccentric accoutrements and behaviors. Probably the highest profile and most popular theory is that she is the same kind of cosmic entity that the Doctor is on BBC’s Dr. Who. Yes, Ms. Frizzle from The Magic School Bus could very well be a Time Lord. It would explain her knack for remaining completely unperturbed in the face of the numerous dangerous situations and risky scenarios she finds herself in. And her consummate concern for her students’ wellbeing on their field trips. This would obviously mean that the magic school bus itself is akin to the Doctor’s TARDIS. The TARDIS is capable of traversing space and time and has transformative powers just like the magic school bus. Ms. Frizzle obviously repurposed the bus to fit in better with the setting of a school. Like so many nostalgic properties from the 90s, The Magic School Bus has been on the docket for a reboot. Although not many PBS original properties have been rebooted as have purely entertainment cartoons. The reboot was announced by Netflix and Scholastic Media in 2013, and at first it was going to be titled, The Magic School Bus 360, because that was evidently trendy. Since then the reboot has been retitled to The Magic School Bus Rides Again. Stuart Stone, who voiced Ralphie in the original and is producing the reboot, has said that some of the other original voice cast will return, albeit voicing different parts. 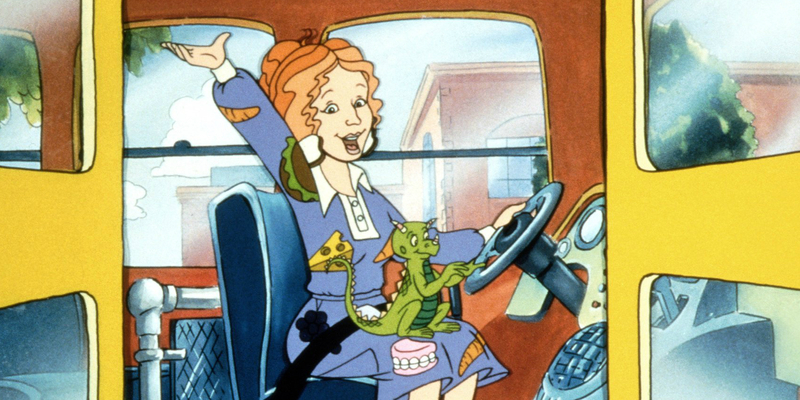 Also reportedly, the show will focus on more modern technology in terms of Ms. Frizzle’s gadgets and the bus itself. The series is supposed to launch sometime in 2017. Pretty much the only other news we’ve heard on the project is Netflix’s recent announcement that Kate McKinnon was cast in the role of Fiona Frizzle, the younger sister of Ms. Frizzle. She will presumably be teaching a new class of students and taking them on spectacular field trips. Are there any other findings from your research on The Magic School Bus? Are you excited to see the reboot? Let us know in the comments!